Heeeeeeelllllo Friday! I am so ready for the weekend. As you know, Friday means it's time for a new crazyjoy challenge word. Check our Mirys post for a super sweet story about that photo! You 2 made me soooooo happy! Thank you!!! 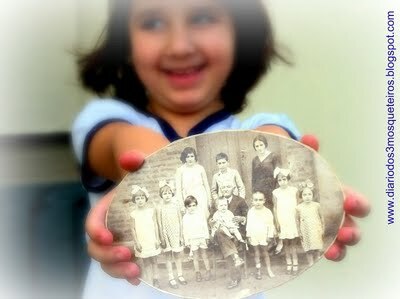 I cherish this picture very much because it is the history of my family in one click: a great-granddaughter holding an image of her great-grandmother, who she loves very much. How sweet is that?? Congratulations on your choice, the perfect picture of my friend. I am learning to take off photos with the Myris, when it will have with pretty photos, control you to look at.